Learn how to use the Statement Studies data in ways that might not always be self-evident—they can enhance your analysis. 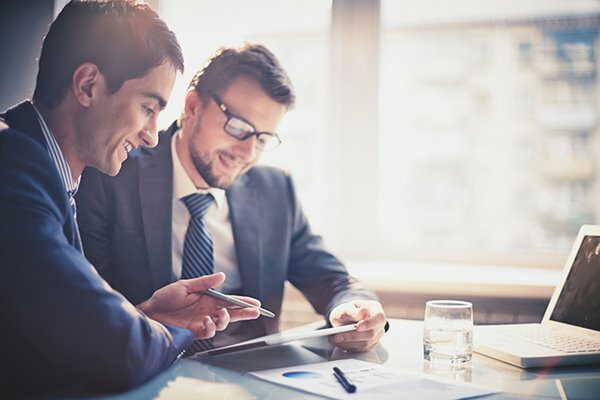 Unless you’re new to the world of com­mercial lending, chances are you’re very familiar with the RMA Annual Statement Studies®. You likely use these reports regularly to get a sense of how a com­pany is performing relative to its peers in the industry. This paper identifies a few other ap­proaches to using the Statement Studies data in ways that might not always be self-evident, yet they can enhance your analysis. Statement Studies breaks out financial statement data by both assets and sales. For this discussion, we’ll focus on the numbers that appear in the sales-breakdown page for NAICS #236220, Commercial and In­stitutional Building Construction. What is the quality of the financial statements? In Table 1, a partial reproduction of the top of a Statement Studies page, you’ll notice that the quality of the financial statements has been broken down by the companies’ sales ranges. Knowing these numbers, you will be able to determine whether the sample size is large enough to be statistically relevant to your analysis. For some specialized industries, there may not be a sample large enough to rely on. For example, for NAICS #111211, Potato Farming, there are just 16 finan­cial statements for companies with sales of between $2 million and $10 million annually. In those cases, your own knowledge of the industry will help you decide whether you can rely on the small sample, look at the combined industry as a whole, or not rely on the information at all. Accord­ingly, it is important to note the number of companies in the sample in the RMA comparisons section of the credit package. The breakout of data gives a sense of the quality of the financial statements presented in the Statement Studies and the quality of the financial statements required by other financial institutions for peer-sized companies. There is an added risk element if relationship credit exposure is the sole criterion for determin­ing the quality of a financial statement." 1. There is an added risk element if relationship credit exposure is the sole criterion for determin­ing the quality of a financial statement. Let’s apply that rationale to NAICS #236220: If a bank’s guideline indicates that a tax return is sufficient for a $500M relationship credit exposure, yet the borrower is a general contractor with $35 million in revenue, the bank will be missing all the schedules and footnotes necessary to properly assess the company’s financial condition. This is where the credit approver’s experience must come into play in determining financial state­ment quality. Which is the better column to use for your analysis? 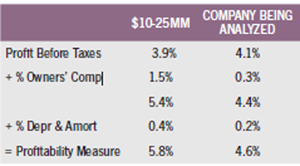 The final column in many industries’ Statement Studies reports is $XXMM & Over (number varies). If you are analyz­ing a company that falls within that sales category, it is helpful to know the average sales of the companies in that column. You can calculate average sales by di­viding the figure for total net sales that appears at the bottom of that column by the total number of financial statements given at the top of the column. 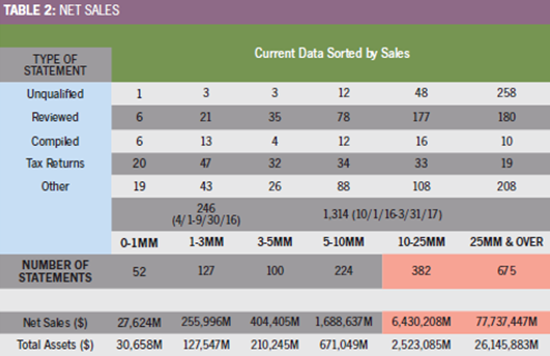 In Table 2, we see 77,737,447M represents the total net sales of all 675 companies represented in the $25MM & Over column. To derive the average sales size of the companies in this column, we simply divide total net sales by the number of companies, 77,737,447M/675. The result is an average sales size of $115,166,588. 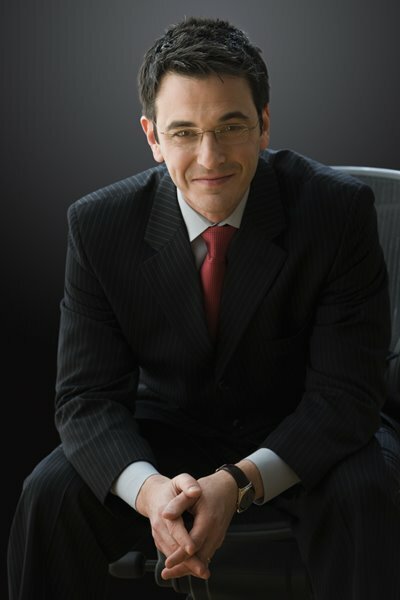 What if you happen to be analyzing a company whose sales size is $25 mil­lion? Or $26 million, or $30 million, or $40 million? Are the financial ratios of companies with those sales comparable to companies whose average sales are $115 million? To complete the exercise, we need to perform the same calculation for the $10MM-$25MM sales column. In this case, we find that 6,430,208M/382 results in an average sales size of $16,833,005. Which is the better column to use for your analysis? Is a company with average sales of $16.8 million more representa­tive of the dynamics affecting a company with $26 million in average sales or one with $115 million in average sales? Is it worthwhile to present both columns for comparison’s sake? 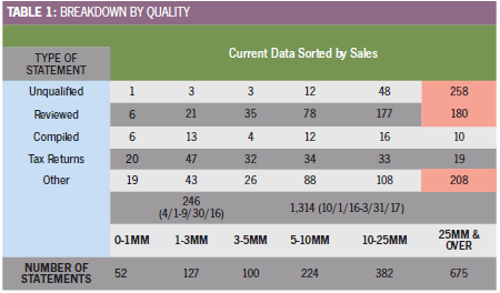 A review of the finan­cial ratios reflects some significant dif­ferences between these two sales ranges. The decision is yours, based on what you know about the company, the rate at which it is growing (or shrinking), and the industry itself. The point is that by going through this one-minute step when the sales of the subject company fall within or near the $XXMM & Over column, you will then have the necessary information to make that call. A similar look might be warranted in cases where the company you’re analyz­ing has sales that are at or near the break point between two columns. It literally takes only a minute to check the math, and you might be better off using the col­umn that is closer in sales with the other companies in the column, even if it isn’t the column into which the subject’s sales actually fall. Or it may be that present­ing both columns that fall on either side of those “tweener” sales-size companies that you’re analyzing might be the way to go. At least you’ll be able to make the most informed decision once you have the information. Statement Studies has provided you with the data to make that decision; it just doesn’t jump off the page at you. Take the additional two minutes to find the average sales size of the columns in these “in between” situations. It’s worth knowing that you’re taking into account the most relevant information available. How can you use "profit before taxes" to make a comparison? Statement Studies provides an income summary whose final line is “Profit Before Taxes.” This is a very helpful ratio that can be used for making comparisons with the subject borrower’s financials. However, as we all know, officers’ compensation, especially with closely held companies, often has a discretionary component to it, and profit before taxes will not tell you the whole story when comparing your borrower’s spreads to the Statement Studies figure. Right above is “% Depr., Depl. & Am­ort/Sales,” another ratio that will offer insights when you are comparing the bot­tom lines of the company being analyzed to the industry numbers. Using the above ratios, we can get a better handle on the company’s profit­ability measure versus its RMA sales-size peers: insert image here. Not taking owners’ compensation and depreciation and amortization into account when considering a company’s profit before tax can result in mislead­ing conclusions about the firm being analyzed, as demonstrated above. The above figures are not 100% on the money, as profit before taxes is a common-size representation of the mean of the financial statements submitted, whereas the owners’ compensation and depreciation and amortization figures are median representations. 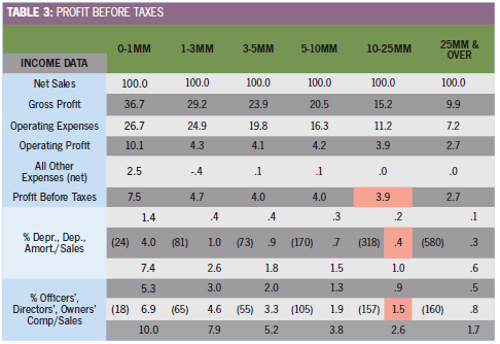 The calculation is, however, a close representation that provides more information than just comparing the profit-before-tax line items of the subject and its RMA peers. RMA Statement Studies provides the necessary data. You just need to take the extra step to assemble the figures. Remember not to stop the analysis at profit before taxes. How do common size comparsions translate into hard dollars? Common-size comparisons are helpful, but once in a while you may want to see how that information translates into hard dollars by comparing the subject borrower with its industry peers. Take cash, for instance. Sticking with the $10-25MM sales col­umn, we take total assets of 2,523,085M di­vided by the 382 companies in that column and multiply that figure by the common-size cash and equivalents of 22.4%. From Table 4, we see that the average company in this peer group has $6,605M in assets, generates $16,833M in annual sales (calculated earlier), and has cash and equivalents of $1,480M. If the figure for a subject company differs dramatically from an industry common-size figure for a particular line item, the hard-dollar equivalent might be something you look at to quantify the dif­ference in your mind, but it isn’t a typical step in an analysis. It does demonstrate, however, some of the additional capabili­ties of Statement Studies. 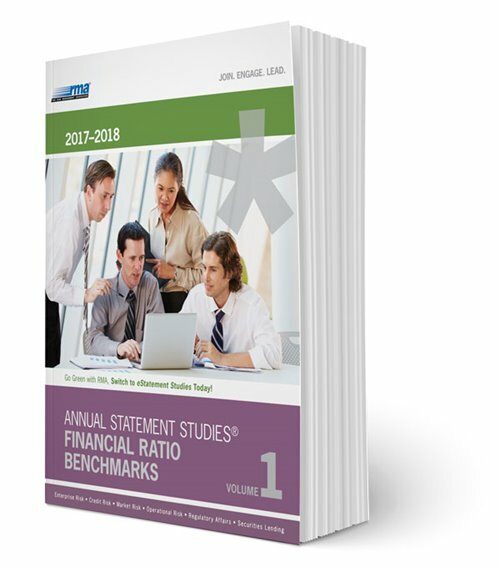 The financial data in the RMA Annual Statement Studies is a valuable tool for analyzing a borrower relative to its in­dustry peers. 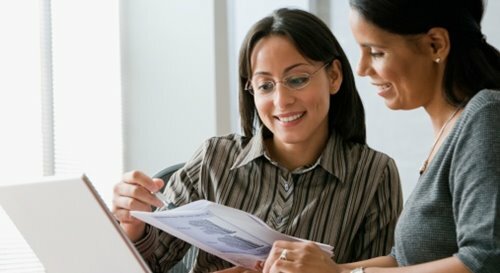 The tips provided in this article suggest ways to enhance that analysis, yet with almost no additional time required. Frank DiLorenzo is a senior vice president at a regional financial institution and has 30 years of expe­rience in commercial lending and risk management. He is a member of the RMA Accounting Committee and the RMA Journalistic Excellence Committee.